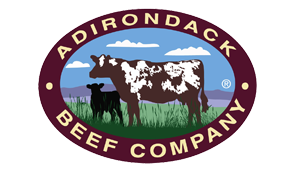 Beef by the Side or Quarter priced at $5.00/ lb. Hanging Weight. Beef sides weigh approximately 375 to 400 lbs., quarters 175 to 225 lbs..
Pork by the Half priced at $4.00/lb. Hanging Weight. Pork sides weigh between 110 to 140 lbs. We will offer custom bundles of Beef, Pork,and Chicken all one product type or a mixture of all three products done to you specifications. Pricing based on product mix and availability. Let us know what you want and we will put it together for you. Minimum bundle size is 20lbs. or $100.00 depending on the mix. Lamb is available on a custom order basis only. *** Hanging Weight is the actual weight of the quarter or side as is, all the bones, all the fat and all the muscle. Your net weight will be less because you lose trim, bones etc. when you custom cut the carcass to your specifications. Please ask Steve if you have any questions when you order. Farm # 315-346-1741.